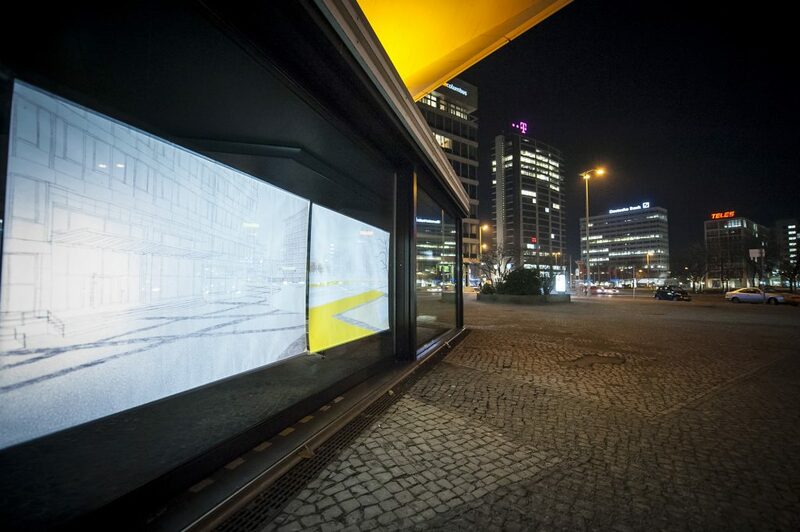 The last phase of the research and design project Klangumwelt Ernst-Reuter-Platz (Sound Environment Ernst-Reuter-Platz) has been integrated into the research environment Architecture of Embodiment. 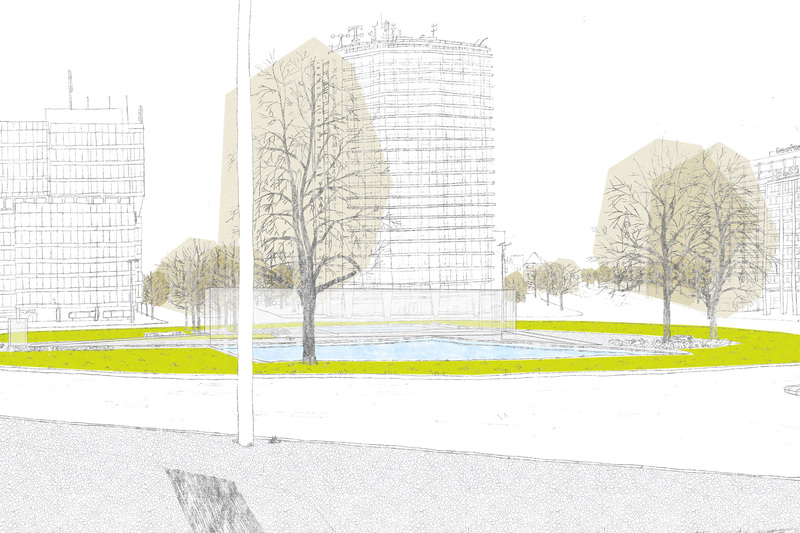 This project was initiated at the Auditory Architecture Research Unit (Berlin University of the Arts), and pursues two goals: first, to develop new practices for the auditory research and design of urban space; and second, to employ them in order to develop a design proposal for transforming Ernst-Reuter-Platz. The project was structured in four parts. In part one (2010–2011) different auditory research practices were conceived and performed systematically in the field. 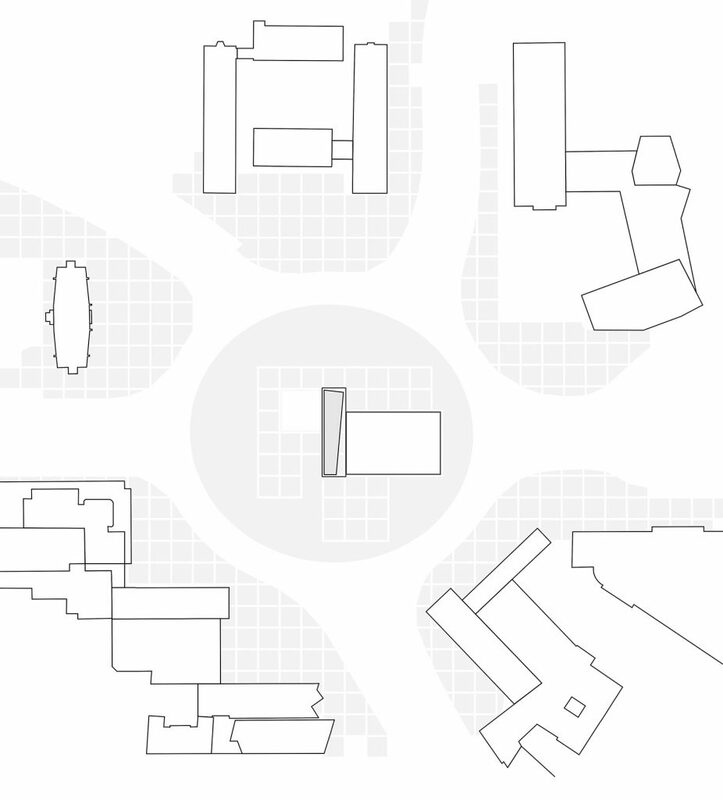 As a result, the efficiency of certain practices could be tested and a fundamental qualitative description of this Berlin square was outlined. 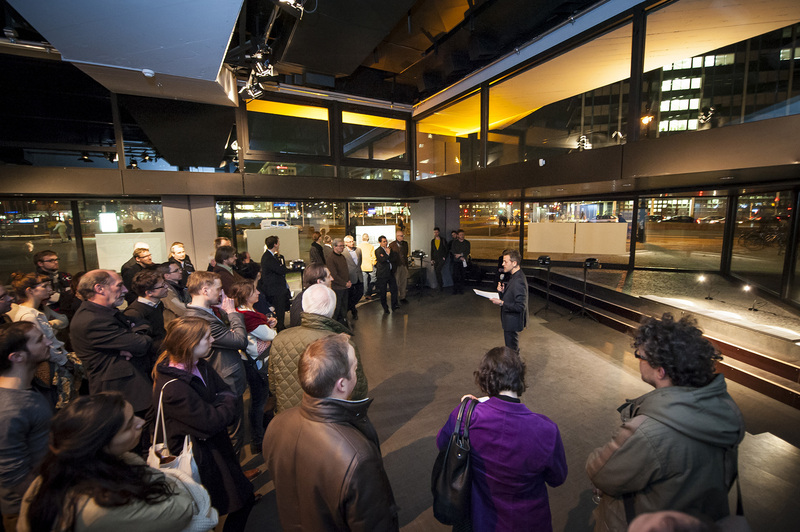 On this basis, a first group of interventions necessary to transform this space were conceived. 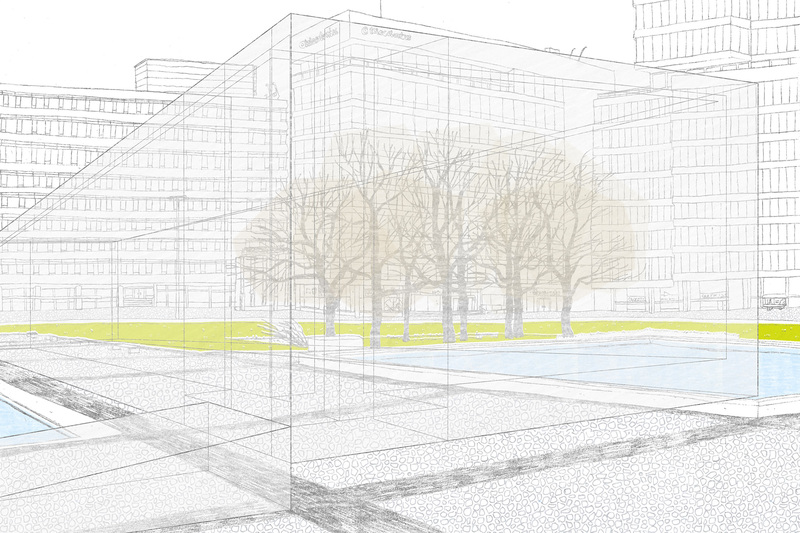 In part two (2011–2012) these ideas were developed and formalized as a proposal for redesigning Ernst-Reuter-Platz. The resulting new design was exhibited in form of an experimental installation in the festival Ars Electronica. In part three (2012–2013) this design, along with the research and design practices conceived and tried out for its realization, was critically revised in seminars, public forums, and a new design group. 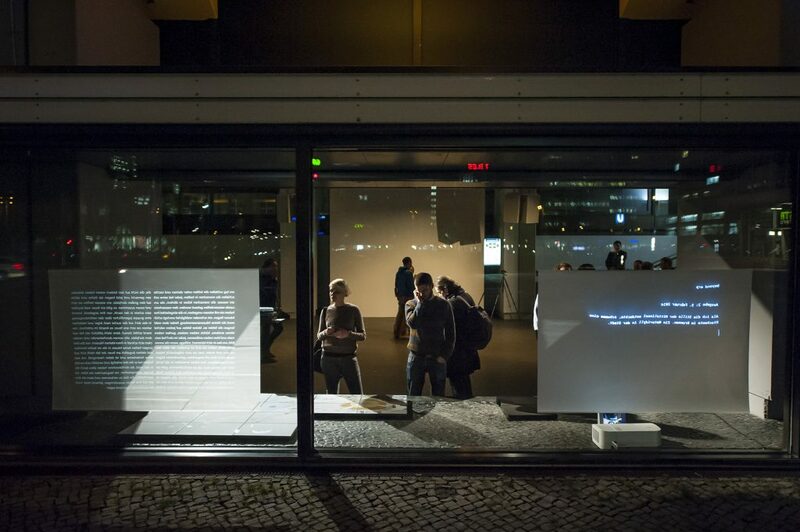 In the concluding part four (2013–2014)—the one integrated into Architecture of Embodiment—the results of this critical process were consolidated in a new and final proposal for the transformation of Ernst-Reuter-Platz that was publicly presented in the former “big computer room”—also known as the “electronic brain behind glass”—on the ground floor of the former IBM Building, designed by Rolf Gutbrod and located directly on Ernst-Reuter-Platz. One of the most relevant research results of this project, regarded from the perspective of Architecture of Embodiment, is the definition of an exhaustive practice of the auditory research of architectural environments—auditory diagramming—and the identification of strategies for its implementation in processes of architectural design. 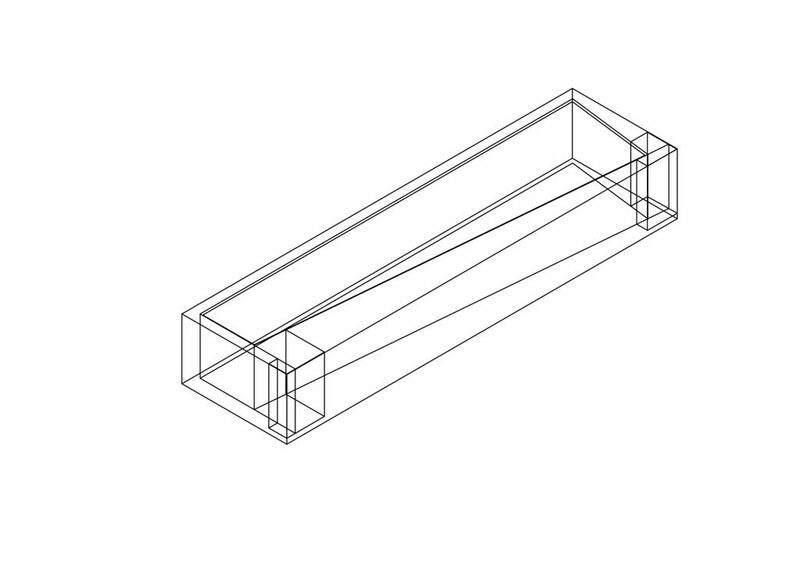 This field-research practice allows an extremely detailed description of the design object and enables the development of the guidelines for its transformation. The results of this project, as well as the most relevant stages in its development, have been collected in a publication edited by Alex Arteaga, Boris Hassenstein and Gunnar Green.